The surface is printed mark, series number and barcode by stamping or laser. The product is economic and the locking is simple and easy . Material: The Plastic Seals is formed by PP plastics in one time. There is a steel plate in the Plastic Seals. Cash Bags/Boxes, Airline Cargo, Banks, Fire Extinguishers,suitcases, Containers, Tote Boxes, T I R Cables, cages, curtain sider buckles, ID Tags,Clinical Waste, etc. We are Professional in making Security Seals Mould in different size and type,With around 2 decades rich experience, specialized in designing and manufacturing Mould for Seals. 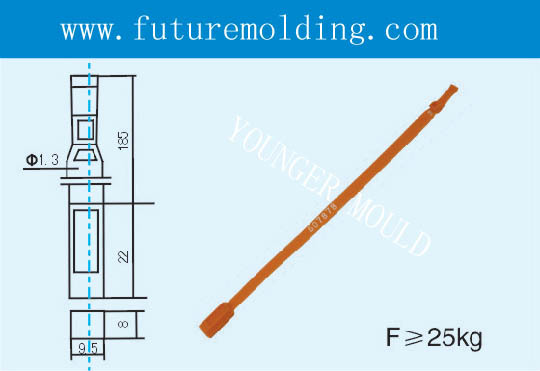 Such as Security Seals Mould,Plastic Seals Mould,Container Seals Mould,Cargo Seals Mould,Cable Seal Mould,Seals Mould.